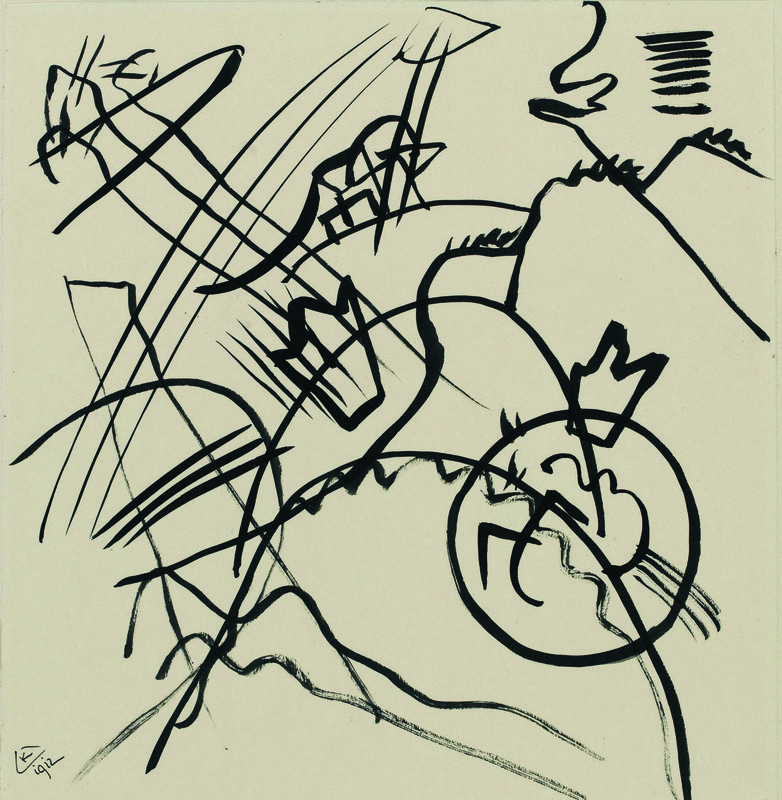 Wassily Kandinsky, Drawing for Painting with White Border (Moscow), 1913. India ink on grayish tan paper mounted on cardboard, 10 x 9 3/4 in. Musée national d'art moderne, Centre Georges Pompidou, Paris, France, Purchased 1968. Photo: Philippe Migeat. CNAC/MNAM/Dist. Réunion des Musées Nationaux / Art Resource, NY. © 2011 Artists Rights Society (ARS), New York / ADAGP, Paris.